As the narrative of Black women continues to be minced, mangled, and muddled by outside talking heads, it's songs like Jamila Woods' "Blk Girl Solider" that stand, deliver, and keep the morale up. Yeah, yeah, everybody's enamored with drinking Beyonce's Lemonade, but video album be damned, it ain't the end all be all of all of sista soldiering --- and it most certainly was never the first nor will be the last to call to arms in the name of the sistahood (...so don't get the lemons twisted). Woods' anthem, to me, spoke at a more genuine pace as it expounded every single grievance and voiced every prideful boast that has ever been uttered, without being coy or counterfeiting about it. 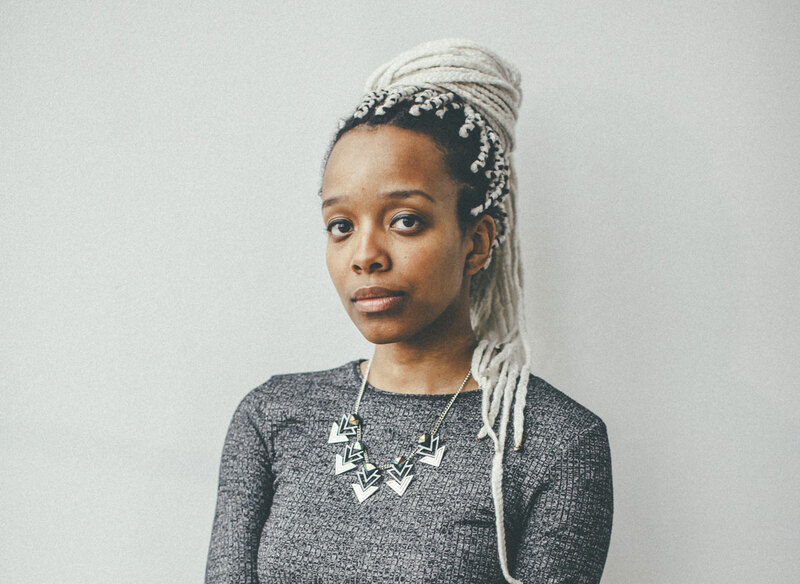 Though her intentions to guest spot on Macklemore's much abhorred, "White Privilege II" had a backfiring effect, Woods isn't blowing smoke on the mirrors as she's serious about further pushing enlightened conversations about what it means to be Black in 2016 on her upcoming solo debut, Heavn, which will drop sometime this summer via her new label, Closed Sessions. While the Chicago-based singer, songwriter, and part-time poetess continues to be focused on the now, she's not ambivalent to what came before and how it shapes us as a people today as she reaches back in history for Heavn's namesake song and first single. Flipping the script on The Cure's classic, "Just Like Heaven" and cleverly interloping the beat heard on The Roots' Dilla Sounds track, "Eve", "Heavn" has Woods paying tribute to the ancestral hearts that were afire during times of struggle and strife, as she croons, "My great, great, great, grandma, and your great, great, great, grandpa didn’t need a ring or a broom." "I was thinking about all the barriers set up against love," Woods stated to The FADER in a recent interview (which is something you need to check out in full this instant). "I thought about stories of black love in slavery times, how my ancestors had the audacity to love in spite of trauma and violence waged against them. The song became an ode to that history and a call to choose love in spite of the storms we weather."